18-meter practice over the past eight weeks has been an up and down business. It feels mostly down because I hit a peak early on in a six-weeks cycle. Naturally, going into the final two indoor tournaments of 2018 I was rolling around in the mire of a down turn in performance. Still I won one of them. The second, competing against the 21-49 year old men, it was all I could do not to embarrass myself. Nevertheless, I finished respectably and used the tournament for an “educational” session. For 2019 I am still working out in which tournaments to compete and the goals for those events and the year. I keep coming up with an all-encompassing goal of ‘win everything.’ While it might sound brash the data suggests it might be possible. So, why not have the foremost goal for 2019 to win everything. 2019 has major tournaments early in the year with two state championships in February. In 2018 January and February were moving months. For eight weeks I barely got in any practice. The lack of training showed up with three consecutive second places. Once I got back to practice things improved and I won the next three State Championships setting a record in one. Then, I took a second place, at the Georgia Cup, competing against a younger crowd (thanks, Paul – he knows what I’m writing about). Few more wins and a few more seconds, the younger guys still knocking me down after the Georgia Cup. So, why would I have a goal to win everything? It is because my data suggests that’s possible. Here’s an explanation for 18-meters: In 2017 the top two places in my age group for the indoor Nationals finished with scores of 1155 and 1154. Over the past eight weeks my lowest two scores totaled 1130 – not so good. My highest two-day score is 1183 – a winning combination. During this eight weeks cycle my average score for two-days is 1150, one point above the 2017 3rdplace finisher. But, when I delete scores associated with a new release, new arrows, changes in stabilizers the average score is 1156. 1156 isn’t the best score; it is an average without variables that impact performance. It also places me one point up over the prior winning score. You might think that 1150 is the likely finishing point puts me outside of a first place finish. You’d be correct. The lowest two-day scores of 1130 knock me way down the line. That would place me in 9thplace. Here’s the thing, a goal must be established. The overall goal of winning it all is then broken down to achieve specifics in form, training cycles, and 30 arrow quantitative scores. In each of those elements I am currently below my 2019 goal. Now begins the cycle to work toward achieving each element of each goal. When I do that, well I’ll win. There’s a lot of data on my archery spreadsheets. Five years, one month and 18 days worth of data is a lot. Over time the data shows a graphic of how scores have improved. 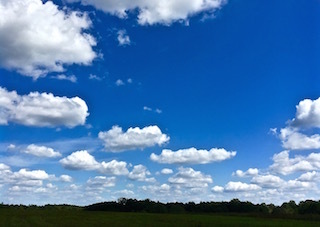 It further covers equipment, environmental conditions and how I felt. Over the past several weeks the steady rise in 3-spot performance I’d been so proud of has dropped. The drop was nearly instantaneous. I reviewed my shooting and went through deliberate practice sessions hoping to reset my form. I did discover a few bow issues and perhaps those problems contributed to the falling scores. Those drops may, as I noticed in the past, have matched the Stock Market. When it drops, I worry. I worry about the interest rate climbing (again), the trade war, and political unrest in Washington. I can’t do a thing to change those variables, but I do not like millionaires and billionaires screwing around with the market based on their power struggles – especially when it negatively impacts me. Or, the drop in scores may be over practice. It is easy to fall into a pattern of worrying that the other guy is practicing more and practice more. There is a point where the return isn’t worth the wear. 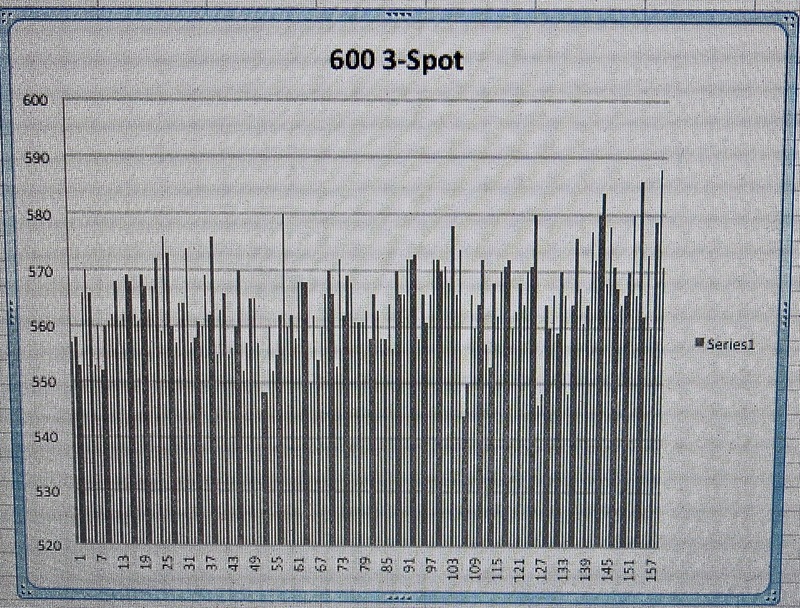 The failure to move up to an average score of 590 for 60 arrows on the inner ten 3-spot may also be mental. That’s a good score. I’ve surpassed it having shot a 593 a few weeks ago. But, when X’s begin falling into place it is easy to think that it is a fluke. The 593 told me I could shoot a 600. Today, during the morning’s practice I shot a 568. Nowhere near to where I’d been shooting. Thing is this has happened before and it will happen again. Whatever the root cause of the dip, I know I’m missing the ten. Not by much but enough to become frustrating. Certainly, like the Stock Market, there’s no call for alarm. Simply handle any potential cause, make any correction available, and continue to push for that 600. And like the Stock Market, the yield will improve over time. Time to Give the Senior Division a Shot? 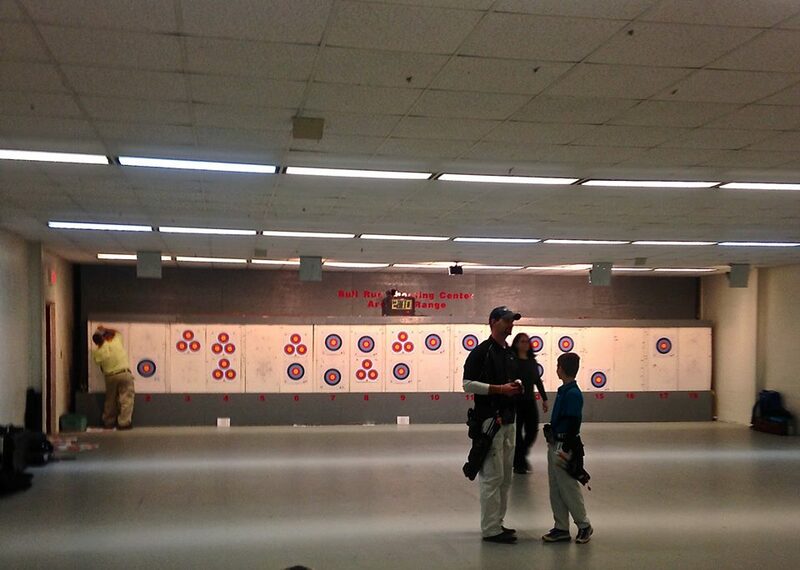 Archery is one of two sports where age isn’t a tremendous factor. For example, if I were training for a triathlon the consideration to compete against a 25 year old would be out of the question. In archery I compete against opponents less than half my age all the time. However, I’ve not yet made the shift to a younger group in any major event. At the moment I am preparing for the USA National Indoor Championship. I’ve not yet entered – entry for my area isn’t available at the moment. In the meantime we have a 25-meter State Championship in ten days time. I’ve entered that as a Master. The internal debate of Senior versus Master Division is a matter of confidence. I suppose it can’t be truly earned by simply comparing scores. It will come from head to head competition and a bit of guts. Author David LainPosted on November 26, 2018 Categories Archery, Archery Competitions, GoalsTags SportsLeave a comment on Time to Give the Senior Division a Shot? It is time to reset a goal. Over the five years that I’ve been shooting a bow I’ve set goals. Some are short term; there are mid-range, and long-term goals. Setting them brings an athlete out of a comfort zone. The score of 290 out of 300, doing it twice in a row, to reach 580 as a final score against a USA Archery style 3-spot has to change. It seems tough to hit 290, but the data on practice says it is time to make a change. In the past moving up was hard. I don’t expect 295 twice will be easy. Shooting a consistent 590 is a pretty good score. It isn’t perfect. It does mean fifty Xs and ten 9s. Certainly, I’d love to shoot 600, but for now 590 is the target, that is hitting 295 on the first 30 arrows and doing it a second time. That’s an average. I could reach 590 with a 289 plus 291. Any way you do the math, it is a lofty goal. By breaking it up, 295 and 295, it doesn’t sound a difficult as scoring 590. It is also a reachable goal. Hitting 580 or a personal best (in practice so far) of 588 you might wonder way not set the goal for 600. Six hundred is the ultimate goal. Six hundred has only be achieved a few times. It is better to set an obtainable goal, for me anyway, of 590 (2 X 295). Once that becomes comfortable, then jump to the next level. November 1st (2018) marked 5 years of shooting a bow for me. Sixty months isn’t such a long time. 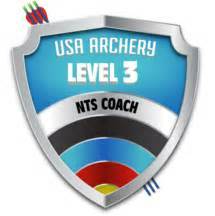 During these past sixty months USA archery changed the way we score a 3-spot. That is, we changed from scoring 10s and Xs to only the X ring equaling 10 points. The sport got tougher and it is taking longer to achieve a level of expertise than I’d initially guessed. When I began shooting this would have scored as 30 points or X,X 10. Today it is X,X, 9 or 29 points. The smaller ten ring (inner ten) makes scoring a perfect 600 tougher. Heck, scoring a 600 using the old scoring method remains tough. I’ve not yet shot a 600 using either scoring method. I’ve come close scoring the old 10 ring. Last week I shot 599. It was going well until the last six arrows. With six arrows to go I shot 9, 10, 10, 10, 10, 10. On the old larger ten ring mind you. The little ten or inner ten or X ring, whatever you want call it this dime sized 10 point ring remains the same in size. But, the outer ten is now only worth nine points. At 18-meters (20 yards) a dime is a small target. The thing is I thought I’d been shooting with a bit more accuracy after 5 years. When I began shooting arrows I thought it would be pretty much like switching from cycling to duathlon. That was pretty easy. All I needed to do was start running. 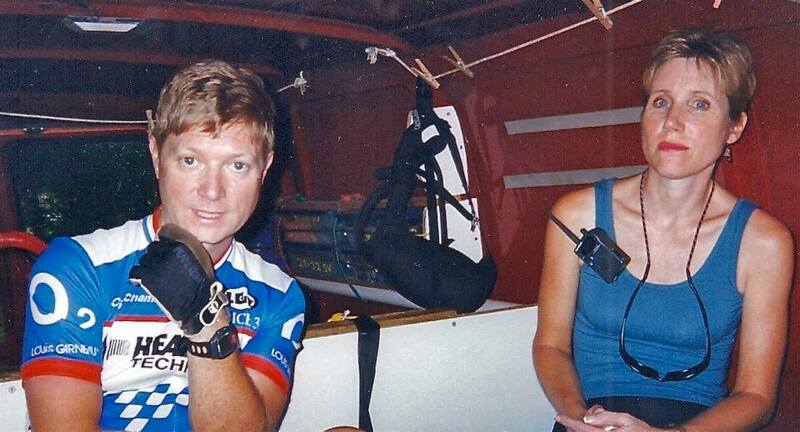 I could already ride a bike and had won all sorts of prizes racing bicycles in the US and Europe. 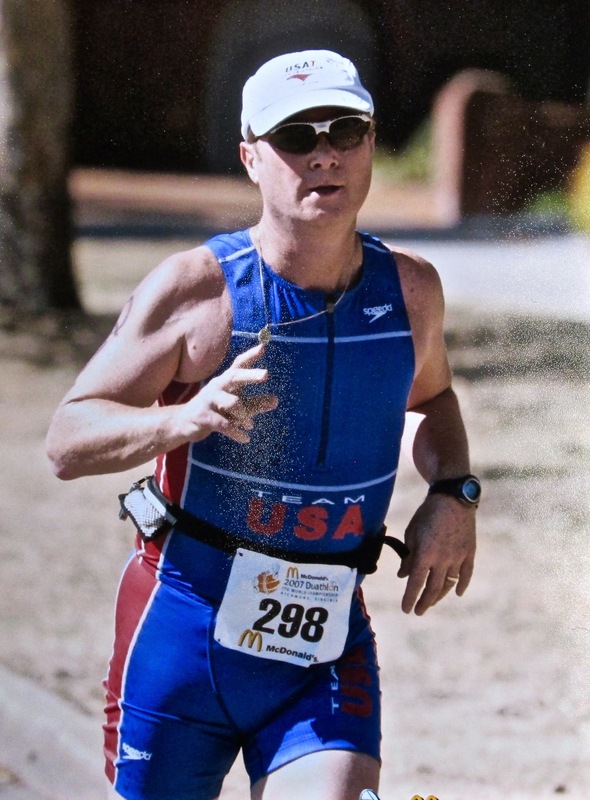 Sure enough duathlon moving along pretty rapidly and I earned a spot on the USA Team to the World Duathlon Championship about a year after I picked up running. 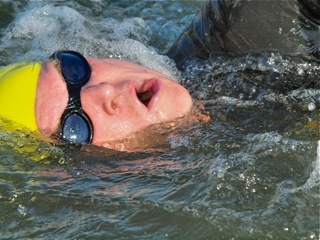 When I added swimming, part of the plan to become a triathlete, I learned swimming was not a strong discipline for me. A few years ago (@2011). 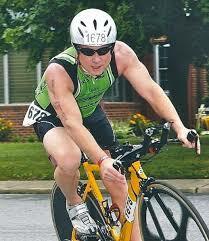 This triathlon was in the fall in Cambridge, Maryland. The water was cold. Still, I did well in shorter triathlons where I didn’t lose so much time during the swim. 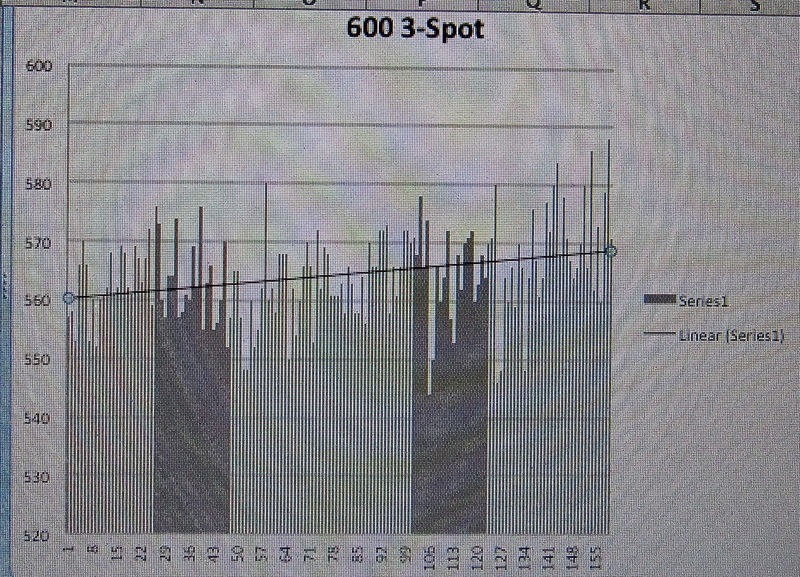 Eventually, I moved up in swimming from the slowest 25 percentile to the upper (faster) 25 percentile. I even brought my long distance, 2.4-mile swim (Ironman distance) down to around an hour. Transfer talent from cycling to triathlon wasn’t all that difficult particularly competing in my age group. Archery, however, is another matter. There are some elements of sport that do transfer such as determination and discipline. The mental focus is, in my opinion, different. Archery requires a mental effort unlike that of racing an Ironman. By looking at a rolling average I can set goals. 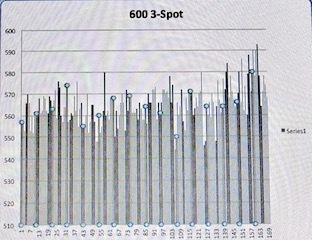 A goal was to average 290 points out of 300 or 580 out of six hundred. Now that I’ve hit that goal I reset the goal to 295 or 590. Archery excellence or at least elite level performance based on scores and winning, is going to take time. Five years into this sport I’d hoped to be further along. It can be frustrating. Thankfully, I have data that shows progress, even though part of the progression included making the ten ring smaller. Five Years of 3-Spots Data Review and Projections. During the past 5 years I have improved. Five years ago I was hammering a 3-spot racking up scores below 500. Five years, well four years, eleven months and 29 days, later I’m seeking that elusive 600. My first record of a 3-spot score earned me a mammoth 447 points. That was at a time when the big ten was still a ten. Today, the inner ten is the only mark that earns an archer 10 points under the USA Archery 3-spot scoring system. Archery has gotten more difficult. Scoring applying the old-fashioned, ego stroking, outer 10 ring method, today I’d have shot a 598. Even having shot a 598 against the outer ten ring, I missed the center inner ten enough times to earn a 580. That’s a lot of near misses. It can be frustrating. Target number two for this morning’s practice. Scores on the inner ten in my database show that there is improvement. From scoring around 550 (on average when the little ring became the only 10 ring) to 574 for a recent average. My best thus far is 584 which I managed a time or two. That’s not a bad score and if I kept this up over a two-day indoor competition that would land me at 1168. An 1168 could put me in first place at the USA Indoor Nationals in my age group based on the 2017 scores. That year 1155 won the gold in the Master’s 60-year-old division. But, I can’t depend on my best scores to win. I look to my average for the last month or after I’ve incorporated a major change, like a new bow, new release or new arrows as a baseline score to get an understanding of how I’m shooting. Considering an average, which allows for good days and better days, at the moment I fall in with an 1148, good enough for fourth at the 2017 indoor Nationals. I actually finished 13th place in 2017, taking 1st at the regional. My current goal for training is to average 590. That score would place me tied with Reo Wilde in sixth place among the Men’s’ Senior Division in 2017. 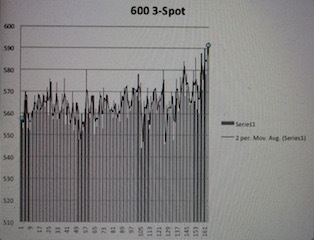 To have a 590 average there will be scores above 590 and below. It will need to be relatively tight groups to achieve that level of performance. 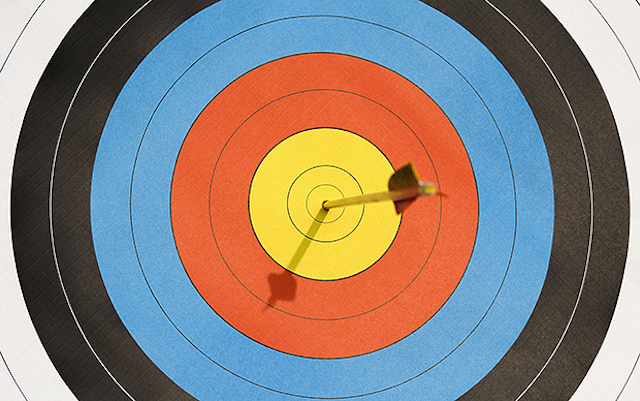 Performance in a sport like archery requires a lot of practice. During practice I set out with a specific goal in mind. Developing a process that incorporates goals is an optimal method for carrying out training. Today, for example, the goal was to shoot all arrows in the outer ten ring. I failed by 2. The failures were still both nines but a failure nonetheless. The mid-range goal, average 590. By keeping detail records of performance I am able to review my work. I know what arrows I used, the bow, the poundage, the release, the weather conditions if practice was outside, and the indoor lighting and range distractions if I’m on a fancy “you-gotta-pay-for-it” range. Those details and graphs let me know how my improvement is proceeding and whether I need to make a change and if I’ve changed something I can’t see. Becoming an elite in any sport takes time. Having data can help you see progress. It can alert you to problems. It can also be a stroke to your ego as you monitor your advancement. You can further predict your rate of change in order to set realistic goals. 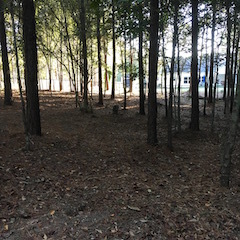 Author David LainPosted on October 31, 2018 October 31, 2018 Categories Archery, Coaching, Goals, SportsTags 18-Meter, Practice, TrainingLeave a comment on Five Years of 3-Spots Data Review and Projections. It’s Wednesday. Sunday was a recovery day. Since then I have an hour and a half of running, an hour of stretching, three hours of cycling, a trip to the gym, and nine and a half hours of archery practice under my belt. This morning we, River my lab, and I were practicing. 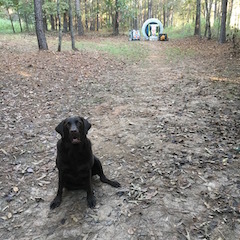 Well, I was practicing and entertaining my canine companion between ends, which is mostly tossing sticks as I walk the 18-meters back and forth to pull arrows. River seemed to have more spring in her step than me. River runs with me in the morning. She’s almost 9 and still has plenty of spring in her step. Working toward an athletic goal is demanding. At times it can be grueling. The long-term effort needs to have breaks. Those breaks are periods for recovery. On Thursday we go on vacation. On this break I am not bringing a bow. I will, however, bring a mountain bike and running shoes. The sun is coming up later as winter approaches and the air is cooler at 8:00 am in the morning. The cycling will be easy active recovery rides. Running may turn out to be walking. For sure, after archery practice this afternoon I won’t pick up a bow for a week. If I carried one on the trip I would no doubt be tempted. But, I also know that rest is too important to take for granted. So, the bow will be left behind. There’s a coaching tip in this post. The big ten on a 3-spot has been a nine for a while. The little dot, which was once an X is now just a ten. Shooting an ego friendly 300 or 600 isn’t what it once was. In fact, it is gone. I admit, I am as yet to feel the satisfaction of a 60X or even a big dot perfect score. But, Lord, I have come close on the old big ring ten. Through the first 10 ends this afternoon I’d dropped two. By the final arrow I’d dropped six, all by just a hair. Against the small dot X, now just a ten, I finished the day with a 576. So many were so close. My goals are to shot on average 590 aiming at the small dot and 600 on the old big ten. The misses are just so close. This competitive year 2017 is done. An easy stat to look over from the years 2015 – 2017 is a 3-spot. I’ll crunch the 5-spot numbers as well as 3D scores. But, a 3-spot is a primary marker. It’s primary because it is controlled, unlike 3D, and more frequent as opposed to a 5-spot. 3D is harder to analyze because for variances of yardage, size of target, weather, distance, and whether or not the competition was ASA or IBO. Five-spots competition has simply not occurred for me since I moved from Maryland. Even then, those were league scores and the distance was 18- yards rather than 18-meters. I still shoot at a 5-spot fairly often, but not as frequently as a 3-spot. 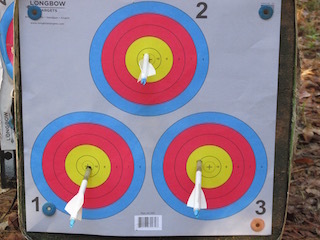 Three-spot shooting is pretty well controlled and I have the scores recorded in competitive events as well as practice. I do have more 3D tournament scores in general and I’ll look over those next. 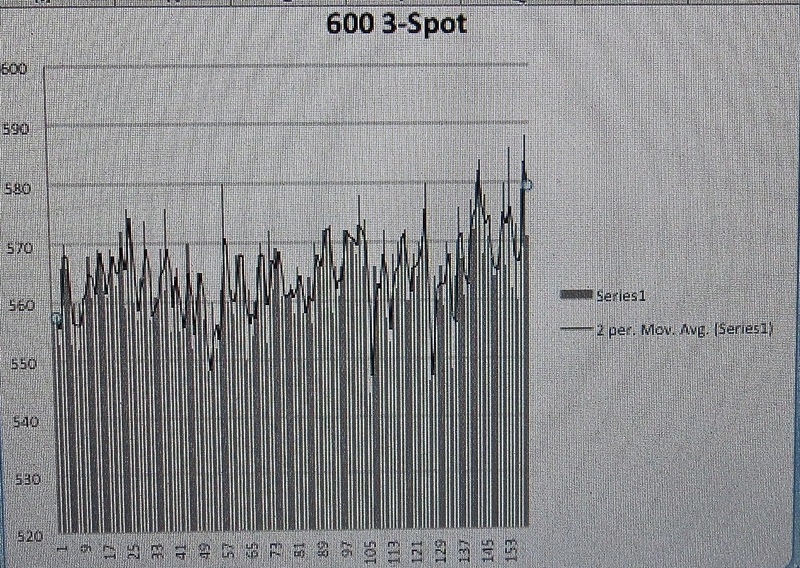 No matter how it reasons out; 3-spot is an easy analysis as a starting point. The results of the number crunching shows on average a 10-point improvement each year starting in 2015 though 2017. There’s a 1.75% increase in score per year. Not quite 2%. Knowing how I finished out the 2017 archery season is an important marker for setting realistic 2018 goals. My fitness program is not exactly what I’d call an archery fitness program. It is different because I still consider endurance sports and try to stay in minimal shape to perhaps compete in other events. Of course, once I make a decision I’ll make a plan. This is the time of year I begin planning for the next year’s events. What should we do next year? In that plan will be a weight loss program. I am not overweight but since my last triathlon in 2013 my body fat percentage has increased from 4% to 11%. That is not racing weight. 2013 was a hard year of racing for me. I raced 12 times in 2013 and that wasn’t a big deal. From 2006 until 2013 I raced at least 12 times a year. 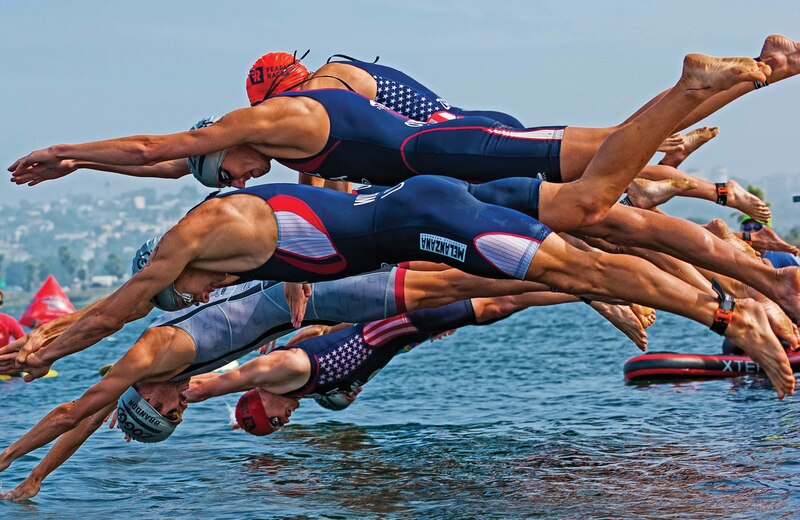 However, in 2013 two of the races were Ironman events and one was the Mt. Evans Ascent. Although the air will be noticeably thin at the starting line, Echo Lake’s 10,600 feet of elevation is just the beginning. The climb totals nearly 4,000 vertical feet – much of it above tree line – as you make your way 14.5 miles to the finish line located at the summit of one of the most recognizable peaks on Denver’s mountain skyline – 14,264 foot Mt. Evans. For a guy that has lived most of his life at sea level – that race was a bear! To make it tougher a week prior to the Mt. Evans Ascent I raced in the Ironman Eagleman. The day after I raced in Boulder, but it was only a 5K. It was actually on that week in Colorado that I became interested in archery. I was in a sporting good store and noticed some bows in the shop. I was killing time so I asked a salesperson about the bows. It all sounded pretty interesting. A couple of months later I bought a compound bow. I’d never planned to compete at any level in archery. That changed. I like running events, triathlons, cycling (time-trials only – no need to risk a crash because of some squirrelly rider) and duathlons. I’ve pretty much ruled out another triathlon anytime soon. Archery, running and riding are about all I can fit into my schedule. There’s no time to swim. Running is easy. I do that nearly every day. Running races are also easy. They’re inexpensive and can be short or long. A 5K is a breeze. A marathon is a bit more effort. I have no idea how many 5Ks I’ve run. I also can’t recall how many 10Ks or half-marathons I’ve done. 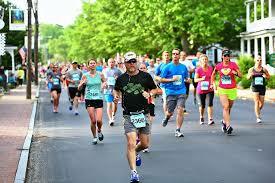 Half-marathons are nice because you can pace yourself and still not feel totally wasted after a race. A 10K hurts the entire race and a 5K hurts a lot and then its over. I do remember exactly how many marathons I’ve run. They all hurt in a different way. After my 7th marathon I figured it was enough, but perhaps not. 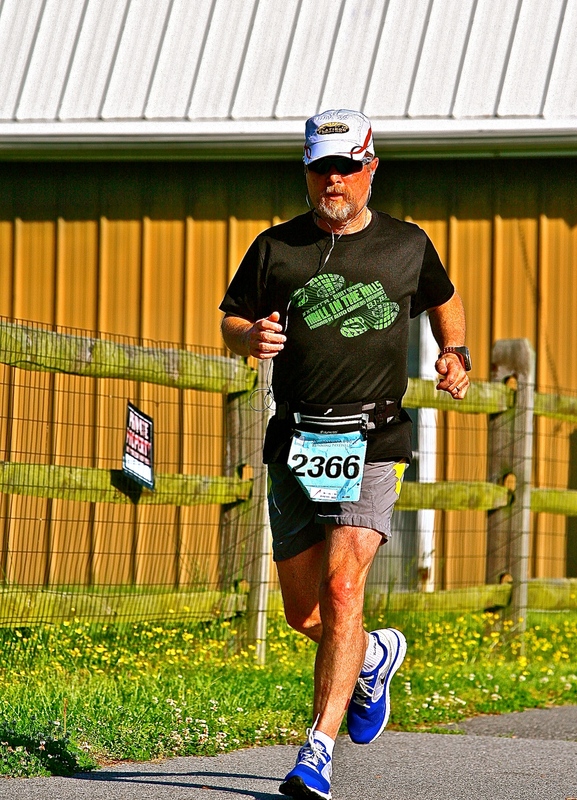 Running – you can do it anywhere (I just replaced to blue Nikes I’m wearing in this photo) This raced was a 1/2 marathon in Maryland. I also ride a bike nearly every day. I run in the morning and ride in the afternoon. But, archery practice twice a day eats away at time needed to drive to a pool. An hour in the pool means another hour of travel. Aside from specific archery goals for 2018 I am considering some endurance sports competition. In that regard, off-road duathlons keep popping into my thoughts.